Automation is all about creating efficiencies. In most cases, even with delicate precision work, automation is possible, and often feasible. 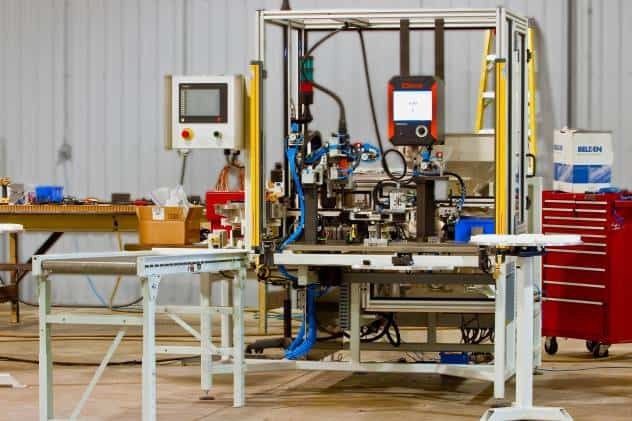 Whether it’s about creating a more flexible workspace or building custom tools for your unique needs, BOS has experience creating innovative industrial automation solutions for all kinds of situations. BOS was founded on Assemble & Test Automation Systems. 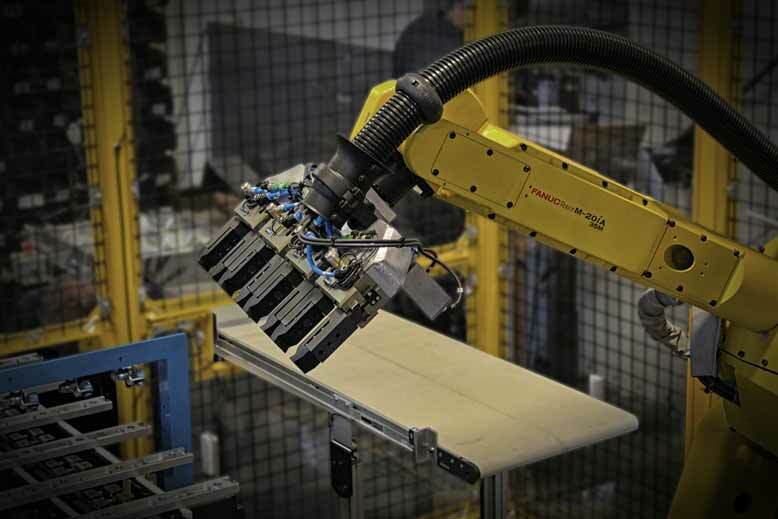 Pallet lines, Dial Tables, Robotic Assembly, and Semi Automated Operator Stations are typical applications at BOS. Our applications team has the experience and ingenuity to find the right way to assemble and test your product. If you require assembly for your processes with the efficiency of robotics, we’ve got you covered. With Simulation, Coordinated Motion, Collaborative robots, integration with Vision Systems and Force Control systems, as well as integration with 3rd party systems and BOS designed hard automation, BOS is on the cutting edge of what is possible with today’s Assembly Robot technologies. Staying on top of advancements in the industry allows us to adapt quickly and provide solutions for your company ahead of the competition. If you have a robotic need for your business that requires special applications, we can help. 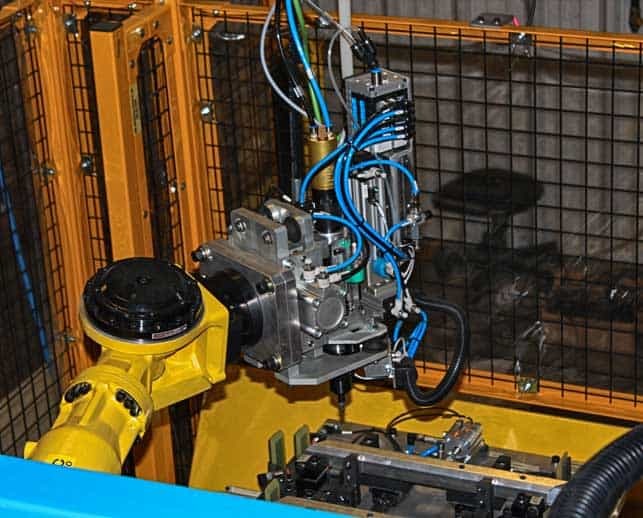 BOS is experienced in robotic dispensing, robotic machining, machine tending, collaborative robotics, and more. We are always open to new challenges as well and can be a valuable partner in developing your robotic application.